Don't you just love traveling? I do. So does the rest of my family. When they come home from Canada, US, Australia, Ireland or any part of the world, they usually ask me to lend them phones and use a Smart sim. I've never gotten some of them back sometimes because they either forget that they're still using it or thought they've already returned it even if they haven't. It's okay sometimes, but sometimes I need those phones as backup for the current one I'm using. Not to mention it would also cost me a lot, so I prefer them using their own phones instead. 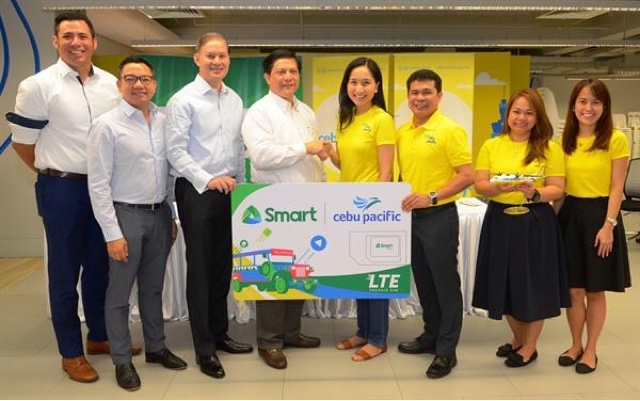 Good thing there's a new partnership between Smart Communications and Cebu Pacific which starts all the good news because they're hooking them up with FREE Cebu Pacific Smart Tourist LTE SIM. This is going to start this July 2017 until LTE SIM supplies last. They will also be supplying these SIM cards to flights from China, Hong Kong, Japan, South Korea, and Taiwan. They will get a complimentary Cebu Pacific-Smart LTE Tourist SIM which they can activate upon arrival in the country. My relatives usually get connecting flights in Hong Kong and Japan so they will definitely benefit from this. Not only that, they will add on 30 days access to iFlix and Php100 discount on UBER rides if they want to get picked up at the airport and arrive home safely.